Spring has started to arrive in London, at long last. So what is a south-west Londoner to do on a sunny March afternoon? Why, they go to Richmond Park for a walk around the ponds. 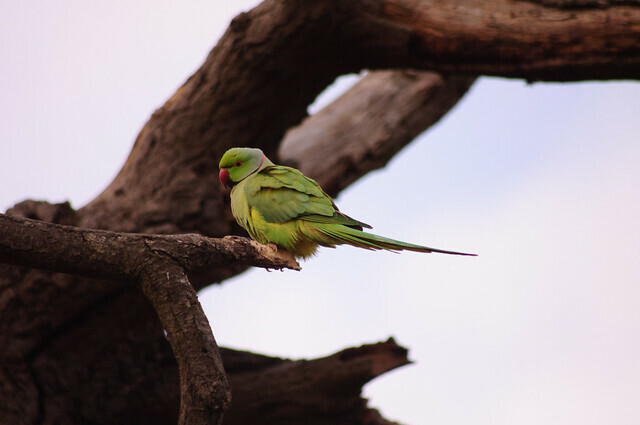 We weren't the only transplanted Londoners there, as the feral parakeets were taking the opportunity to noisily begin their mating season. 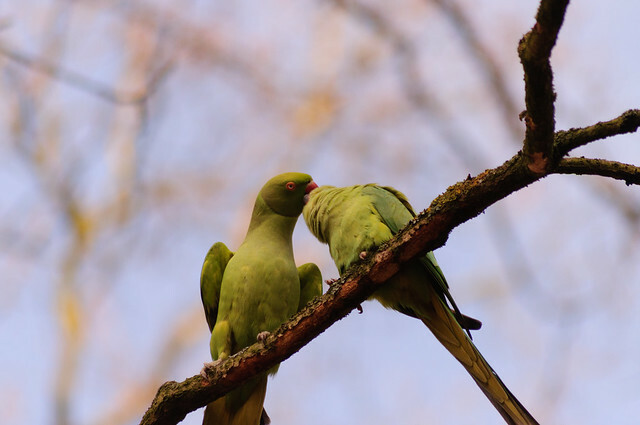 I took a photograph of a pair necking in a tree as we walked through a small wood near Pen Ponds. There's something alien about seeing a parrot in London, but they're certainly colourful. Here are a couple of good links about them!